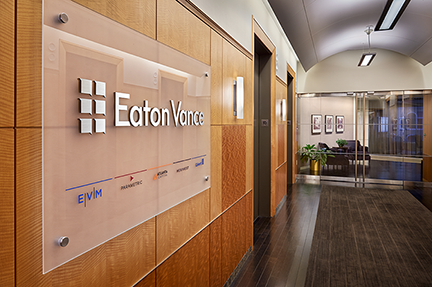 Eaton Vance Corp. is committed to the highest standards of integrity and corporate responsibility. To this end, and consistent with the standards of the New York Stock Exchange, the Board of Directors of the Company has adopted Corporate Governance Guidelines, a Code of Business Conduct and Ethics for Directors, Officers and Employees, a Code of Ethics for Principal Executive and Senior Financial Officers, and charters for the standing committees of the Board: the Audit Committee, the Compensation Committee, and the Nominating and Governance Committee. Interested parties may contact the Board of Directors or its non-management directors to report any matters of concern by sending a letter to the Board of Directors, Eaton Vance Corp., Two International Place, Boston, MA 02110. The letter will be reviewed first by a non-management director, and parties may specify if they want only the non-management directors, and not the full Board of Directors, to see the letter. In addition, Eaton Vance Corp. has adopted separate procedures, for employees to submit complaints to the Audit Committee regarding accounting, internal controls, or auditing matters. Non-employees may also submit such complaints to the attention of the Audit Committee, at the above address.